A threat of a shooting directed at Eastside High School prompted 15 district schools to go into ‘shelter in place’ mode on Wednesday morning. Police were forwarded an online photo that suggested someone would conduct a shooting at Eastside High School. 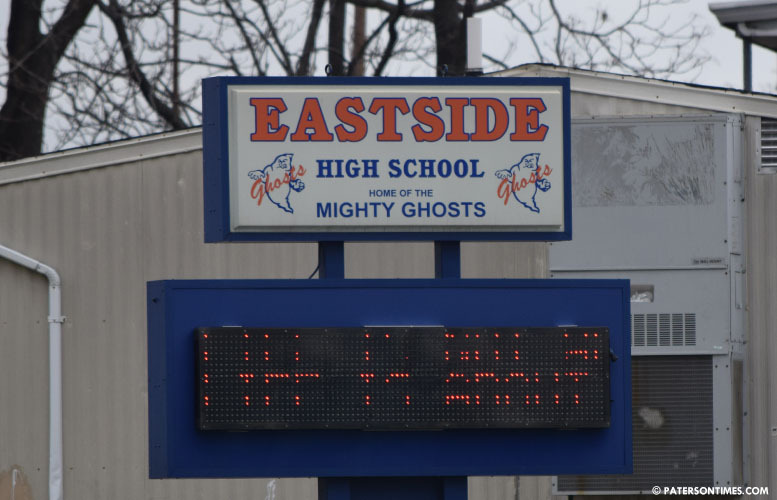 The image targeted “EHS” – it did not specifically state Eastside High School, according to a police source. School officials said the threat was aimed at both Eastside and John F. Kennedy High School. “Together with our law-enforcement partners, we conducted a thorough and comprehensive threat assessment. Paterson Police, the Passaic County Sheriff’s Department, the Passaic County Prosecutor’s Office, and the State Police are investigating the matter,” read a district statement issued by Paul Brubaker, spokesman for the Paterson Public Schools. Police director Jerry Speziale said “numerous” police officers have been deployed at and near the schools. Brubaker said students and staff could not leave the school buildings as a precautionary measure against the threats. Other schools in shelter in place mode are: Edward W. Kilpatrick School, the Roberto Clemente School, the New Roberto Clemente School, the Great Falls Academy, PANTHER Academy and Public Schools 5, 6, 11, 14, 15, 16, 19, 24, and 27, as well as neighboring preschool centers, according to the district. Halloween activities scheduled for today will be held indoors. Other activities throughout the district are being cancelled with the exception of indoor athletic practice. “Transportation to the practice and to the athletes’ homes after practice was being provided by the district. Schools that have extended days operated on their regular schedules,” read the district’s statement.